On February 20th we passed the 2014-2016 House budget with a bipartisan vote of 74-25. This budget takes a “savings first” approach, setting aside over $380 million in two state savings accounts for economic emergencies. It provides funding for many critical areas to include $48 million for mental health services; $530.9 million for public education; $210 million to higher education; and includes millions to fully fund our Virginia Retirement System (VRS) obligations by 2016, three years earlier than required. As a House budget conferee, I can affirm the House and Senate budget proposals are very close. The bottom lines are separated by one-tenth of one percent, a difference that could be easily closed if Senate budget conferees would begin to seriously negotiate. However, we’ve encountered a slow, unresponsive attitude from Senate Democrats and a Governor who travels around Virginia during this crucial time grandstanding for one political issue rather than help hammer out the details of the state budget. Gov. Terry McAuliffe and General Assembly Democrats continue to ignore the basic, critical fact that local governments, schools, college Boards of Visitors, and numerous entities around the state need Virginia’s budget passed long before July 1, the deadline before a potential government shutdown. Nearly 50 percent of Virginia’s General Fund spending passes through as aid to our localities. Accordingly, the budget should be passed by March 8th, the scheduled end of Session. College Boards of Visitors have to set tuition rates for the next year by this spring. If the state budget isn’t released by that time, Boards will be forced to assume a worst case scenario. This could result in double digit tuition increases versus the low single digits expected if our budget is passed. School divisions will have to rethink teacher position openings, new school supplies, employee healthcare plans, and expanded extracurricular activities if they don’t have a State budget to work from. The Chesterfield County School Board, for example, has announcedthat their budget includes a 1 percent raise for employees and hires 125 new teachers in an effort to reduce class sizes. This could be in jeopardy if state funding doesn’t come through. Local governments are relying on state funding for road maintenance, payments to VRS, and new Department of Environmental Quality requirements. Ultimately, there are a lot of citizens depending on the state to pass a budget before the July 1 deadline. House Republican Leadership has called for a special session after we pass the budget to debate the issues of ObamaCare’s Medicaid expansion on its merits. This will ensure funding for our teachers, schools, firefighters, police officers and local governments are not used as leverage to implement Medicaid expansion. The Senate Medicaid expansion proposal is language only. It has no impact on our state budget, appropriates no funds, and generates no budget savings. It should be considered separately from the budget as a stand-alone piece of legislation. Passing a clean budget and then addressing expansion in a special session is the right thing to do. We’ve done it in the past on several occasions to avoid a government shutdown. Governor George Allen called a special session in 1994 on parole reform. Governor Jim Gilmore called a special session in 1998 on car-tax relief. Governor Tim Kaine called a special session in 2006 on transportation. A special session would have several benefits. This includes allowing us to avoid a shutdown and finish budget negotiations on proposals that are currently 99.9% in agreement. It will also allow legislators time to go home and talk to constituents about this critical issue. Finally, it would allow those in favor of Medicaid expansion to craft meaningful legislation that can stand alone and be considered on its merits. Virginia is 1 of 12 states with an AAA bond rating from all three rating agencies. Last year we were named the best state for doing business by Forbes magazine. We did not accumulate these accolades by playing political games with our state budget. I truly hope the Governor and the Senatewill stop holding up the budget over a partisan, political issue; an act that is contrary to Virginia tradition. We should pass a clean budget on time and hold a special session on Medicaid expansion. The Virginia Chamber of Commerce released a statement this week that supports the House Republican call for a special session. They cited the serious implications budget uncertainty could have for the Commonwealth’s business community. Investment decisions and business relocations could be discouraged and Virginia’s reputation as the nation’s best state for business could be discredited. House Republicans have advanced legislation that helps our veterans, our teachers, our children, our roads, and those who are most vulnerable. Our budget is saying yes to these groups through good governance and fiscal responsibility. We owe it to them to pass our budget on time. 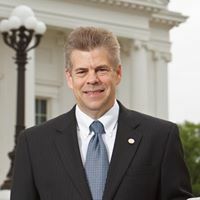 Kirk Cox is a member of the Virginia House of Delegates.